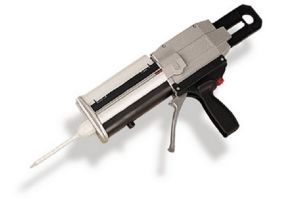 Sulzer Quadro® with bell inlet is a disposable mixer especially designed for use with 200 ml to 1500 ml cartridges; it can be used for meter/mix/dispensing applications as well. Depending on the application, the stepped outlet can be adjusted by cutting. 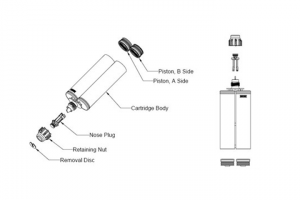 To dispense small quantities, the Sulzer needle adapter can be used. 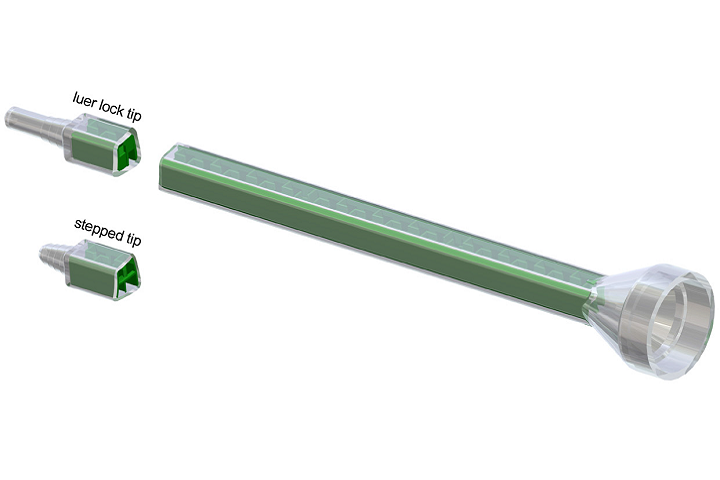 Another option is the Sulzer Quadro® with luer outlet. 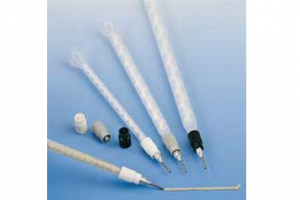 A range of disposable dispensing needles can be fitted into its luer taper outlet.